Dhaka, 19 May, Abnews: Bangladesh has underlined the importance of mobilising international pressure on Israel for halting and reversing its policies and practices. "The OIC must find an alternative multi-power multi-stake holder platform to push and take forward the peace process to a meaningful end," Foreign Minister AH Mahmood Ali said at the Extraordinary OIC Summit held in Istanbul on Friday. He said Bangladesh believes, at the latest developments, the OIC needs a solid and determined strategy. "We must engage the international community proactively, with immediate action by the Ministerial Group on Al Quds to reach out to important state capitals as well as with activation of OIC Ambassadors in New York, Geneva, The Hague and Brussels," he added. The Foreign Minister said the impunity demonstrated by Israel and the disregard shown by the US Administration to international norm and laws have outraged the people of Bangladesh. 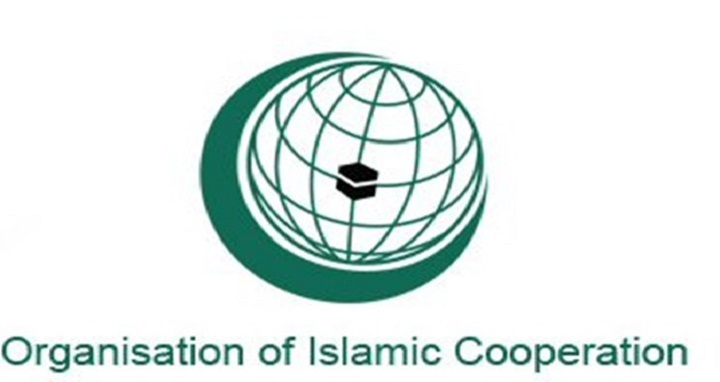 He said the OIC must move all important international fora, including the UN and its different organisations-political, security and legal in function, and should direct its efforts in all licit avenues and channels. Foreign Minister Ali led an eight-member Bangladesh delegation at the 7th Extraordinary Summit of the Organization of Islamic Cooperation (OIC). The Summit focused on the massacre of the peaceful Palestinian civilian protesters by the Israeli forces as well as on the official opening of the US Embassy in Jerusalem on May14. President of Turkey Tayyip Erdogan convened the Summit in his capacity as Chair of the OIC Summit. Mahmood Ali participated in it as the Chair of the 45th Council of Foreign Minister, said the Foreign Ministry here. The Bangladesh delegation includes Security Affairs Adviser to the Prime Minister Maj Gen (retd) Tarique Ahmed Siddique, Bangladesh PR to OIC Ambassador Golam Moshi, Bangladesh Ambassador to Turkey M Allama Siddiki, and other senior officials of the Ministry and Bangladesh Missions. The Bangladesh Foreign Minister began his busy day by attending the Council of Foreign Ministers preparatory to the Summit as chair of the current CFM in the podium, while the Adviser for Defence and Security to the Prime Minister led the Bangladesh delegation in the Council meeting. The Council was preceded by the Senior Official Meeting (SOM) on Thursday that prepared the draft Final Communique and the Bangladesh delegation to the SOM was led by AFM Gousal Azam Sarker, DG of the Ministry of Foreign Affairs. The Council has reached a consensus on the Final Communique for adoption by the Summit tonight (Friday). These actions were highly provocative and are now causes for new waves of tension, hostility and violent extremism in the already volatile region of the Middle East, he said. "The actions threaten global peace and security. We strongly condemn the Israeli savagery and culture of international impunity. We deplore and reject the US action," said the Foreign Minister. He said people in Bangladesh are deeply concerned at these ominous developments and Israeli illegal colonial abuses and this latest massacre of unarmed civilians, including children, are crimes against humanity. The Foreign Minister said protection of the Palestinians is Israel’s state obligation as per the international law. "The crimes deserve international investigation and legal action. We are also concerned at the US action of the opening of the Embassy which is in clear violation of international law including several UN Security Council resolutions." The US action actually triggered spontaneous protests from the Palestinians who came out in desperate protest in anticipation of the opening of the Embassy, he said. "This is alarmingly emboldening Israel to illegally impose its control over the holy city of Al Quds and advance its design to change its historical and legal status, its demographic structure and historic Arab-Islamic character." The Foreign Minister said they cannot remain as bystanders and see this happening to the city of their first Qibla, the third holiest shrine, and the permanent seat of OIC Headquarters. "We must reject any attempts to bring change in the status quo in the occupied Jerusalem," Minister Ali said.